I'm sure that my "resolutions" look pretty much like everyone elses... read more, be more organized, memorize more scripture, get more sleep, etc. So instead of talking about my resolutions on January 1, 2014 I've decided to share three "words of wisdom" I've decided to be my personal "themes" for the year. These are the little quotes that I'll print off and stick in my Bible or stick on my mirror. I'll screen shot them and save them to my phone and write them on sticky notes to place throughout my planner. Back in October I blogged about "How I Do It All" (hint... I don't!) and I referenced this quote. It's so hard NOT to compare yourself to others (especially in "blogland" where everyone is putting their VERY BEST foot forward and keeping the unkempt one WAY back there - hahaha), but I am determined this year to measure myself against no one. Whether it's my clothes, parenting, home, body or anything else. ... and this is a hard one for me. This past year has been a difficult one for Dave and I with some relationships that we've had for years. My mom (who is CRAZY wise - hehehe) has referenced this quote A LOT in conversation with me, but her version of it is better (yes, better than Maya Angelou - hahaha). 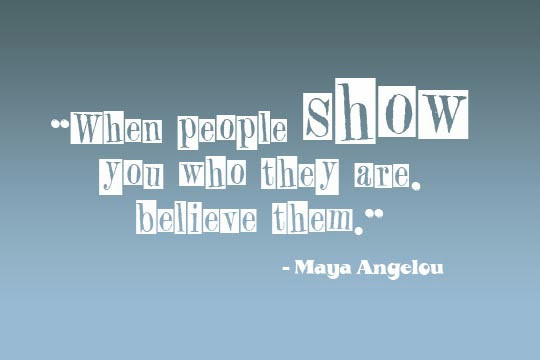 She says, "When people show you , by their words and actions, how they feel about you... believe them". I've been justifying and making excuses for peoples words and actions rather than taking them at face value and I'm making a conscience decision to stop doing that because I just don't have time or room for that in my life. My priorities are Dave and my kids and then relationships that are authentic and reciprocated. The end. This has been on my mirror for almost a year and I love it. In the busyness of daily life I don't want to miss out on the charms of the present. 2 Timothy 1:7 - "For God did not give us a spirit of timidity, but a spirit of power, of love and of self-discipline." Anyway... any sage words of wisdom you're planning on living by this year??? My favorite post ever. 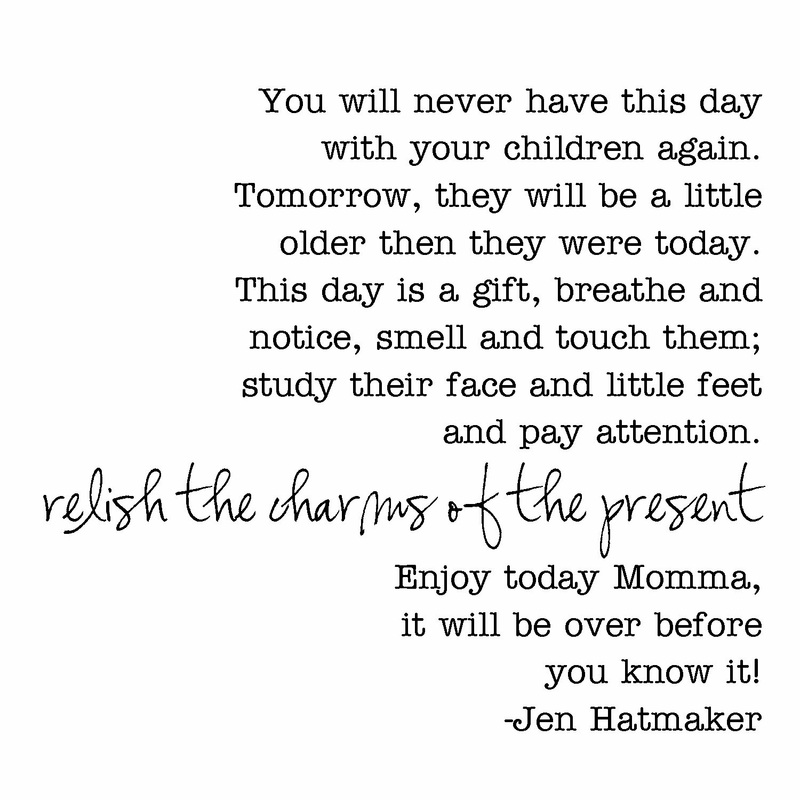 I love all three of these quotes and especially the one by your sweet mom. I need to take all 3 of these to hard too. Love you friend! Happy New Year! I love the three that you chose plus the verse from 2 Timothy. It is so helpful to have them posted as visual, constant reminders! These are great "words of wisdom"!! I could definitely have the first and last one pasted up on my mirror as well! I need the last one on a post it taped to my phone....I know too often I'm playing on my phone instead of spending quality time with them. I fail every year at NYResolutions, so I'm not making any this year...but I have decided to make changes...one being to get off my phone more. Great post Andrea! Always love reading your blog!! Loved this post, Andrea. I have really enjoyed your blog since finding it. I love all of your quotes, but I love the second one so much. I can think of 1 specific relationship that I've been spending way too much time and energy on and it's draining in every way. Thanks for sharing!! Happy new year! Love your blog Andrea! 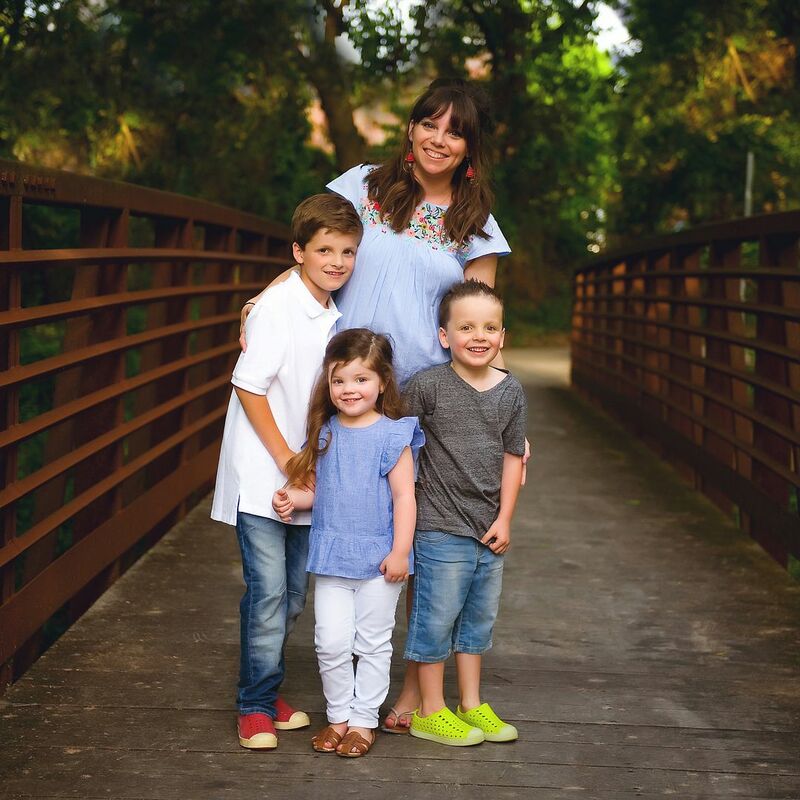 I found you through mix and match mama who I found through house of rose! I feel like I know you both so well and enjoy waking up and reading your posts! Very inspirational! I cannot wait to see what 2014 will have in store for my family and yours! Wow! I'm soooo inspired! Seriously. Awesome post friend! Love you! Great words of wisdom from your mom! And that comparison quote is one of my favorites. Comparison is what always leads me to feeling down, so I really try to avoid it. Happy 2014! 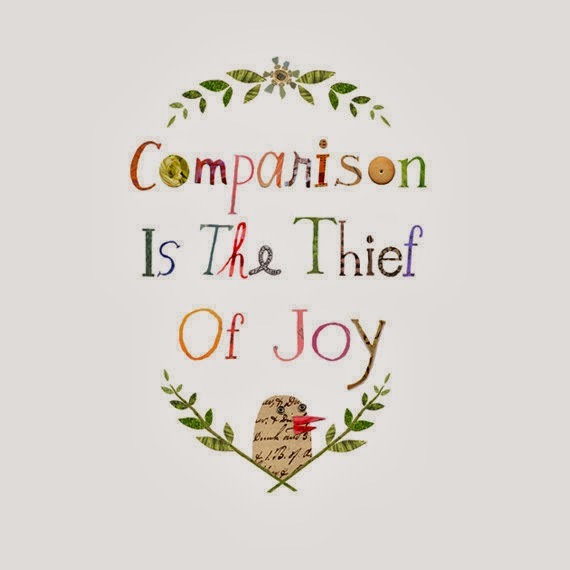 Comparison is the thief of joy is one of my favorite quotes ever. And 2 Timothy 1;7 has been my verse this year, fear NEVER comes from the Lord! I've loved the quote "comparison is the thief of joy" ever since you posted a couple months ago. I loved that post and I love this post. It is so hard to get wrapped up seeing what everyone else is doing and thinking you aren't good enough... Especially in blog land! Often times people don't put everything out there, only the good, and while that is great, that's not fully real life. I love this quote and am using it as part of my New Years resolution! Thank you!